First Look at Captain Marvel – All of My Issues! 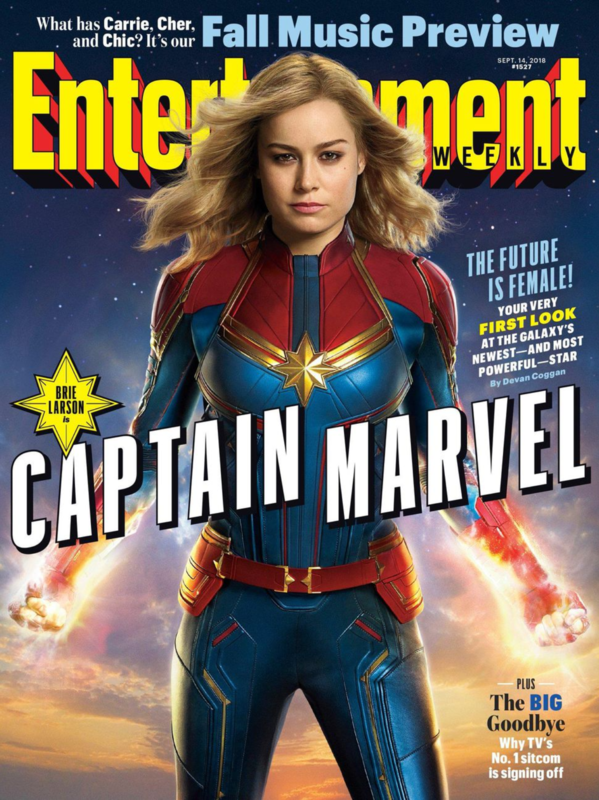 Courtesy of Entertainment Weekly, here is an official first look of Brie Larson’s Captain Marvel. This looks promising, and EW is apparently scheduled to reveal additional info throughout the week. There is a great deal of anticipation to see what happens after the events of Avengers Infinity War. Unfortunately, this movie is set to take place in the 90’s. So we probably won’t know what happens directly after Thanos’ snap, but we are willing to bet that something will be revealed that will tie in the events of Infinity War. Regardless of the revelations, we are totally excited to see Captain Marvel brought to life. We can’t wait to see what happens. Check out the full article at . . .